Looking presentable is an important part of our lives these days. However, looking presentable doesn’t mean blindly following the latest fashion trends. When it comes to haircuts, this is so true. You need to understand your hair’s highlights and flaws, to choose the perfect haircut for you. Otherwise, you might just end up looking silly. A haircut may look fabulous on one person, and downright terrible on another. If you’re wondering why the same style looks different on different people, reason being that not everybody looks the same. We all have different features and face shapes. The hairstyle that will suit you depends primarily on your face shape. The hairstyle you wear can make or break your appearance. At StyleU salon we provide important guidance to know your face shape, and help you to choose a haircut based on it. Men have quite a lot of different hairstyles to choose from these days. Long gone are the days when a short buzz cut was the most popular hairstyle for men of all ages. While it remains a classic that isn’t going away anytime soon, there are plenty more hairstyles that are setting some very exciting trends. When it comes to hairstyles for kids, the range of options is as limitless as they are for adults! While not every cut will look great on a teen boy, for instance, they have options that work for them better than anyone else. Classics like the high and tight and buzz cuts never go out of style and are perfect for minimal maintenance hairstyle. Regardless, the best tip there is for kids haircuts is this: do not over think it! They are haircuts and styles just like you get, made of the same kinds of hair as yours. There really is little to worry about when you boil it down to the facts. 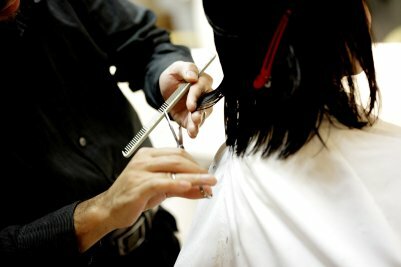 Hair is hair, and any reputable, skilled stylist will know how to work with your child’s hair to get them the best cut possible. With the abundance of hair salons, you can always find a good stylist to advise you on the perfect haircut to suit your face. Just remember one thing, the right haircut will enhance the best-looking features of you and draw attention away from the flaws. Get a new iconic look at StyleU salon, chop chop!